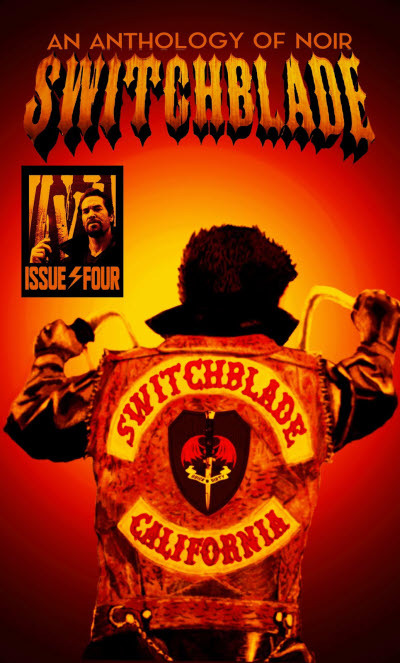 An alternate version of Switchblade Issue Three that was available for a limited time only, being retired from mainstream distribution when Issue Four was released. Details taken from Table of Contents. 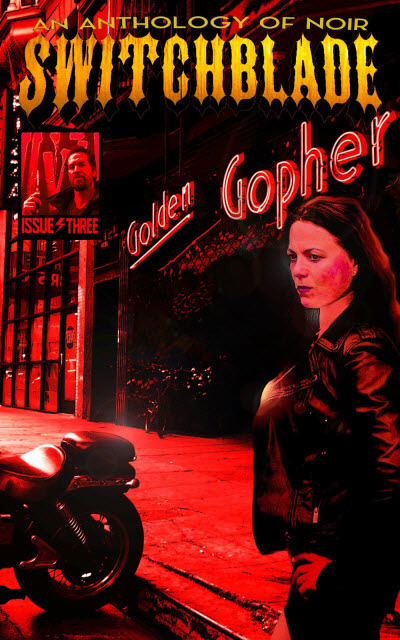 Noir written by all women, about women. Details taken from Table of Contents. 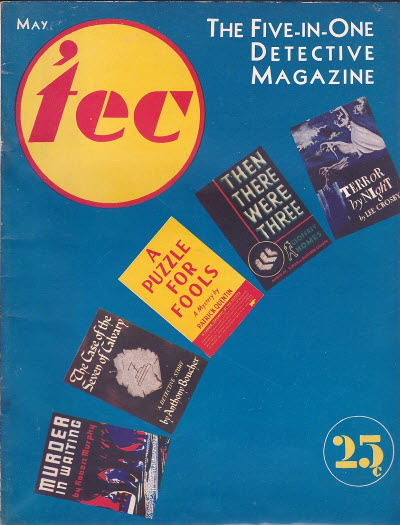 Billed as having five complete novels in each issue, although each is condensed to a mere 20 pages each. One story in the second issue is original. 3 · A Puzzle for Fools [Peter Duluth] · Patrick Quentin · n. Simon & Schuster 1936; abridged. 26 · Terror by Night [Eric Hazard] · Lee Crosby · n. Dutton 1938; abridged. 39 · Then There Were Three · Geoffrey Homes · n. Morrow 1938; abridged. 57 · The Case of the Seven of Calvary · Anthony Boucher · n. Simon & Schuster 1937; abridged. 76 · Murder in Waiting · Robert Murphy · n. Scribners 1938; abridged. 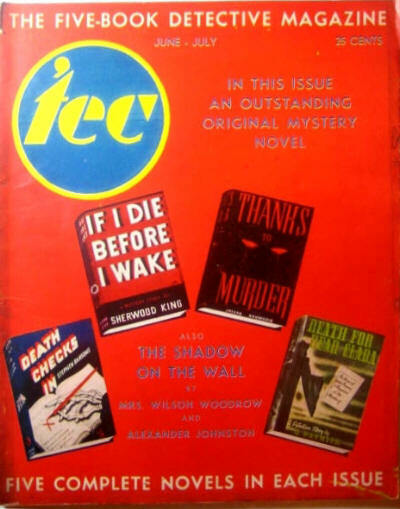 3 · If I Die Before I Wake · Sherwood King · n. Simon & Schuster 1938; abridged. 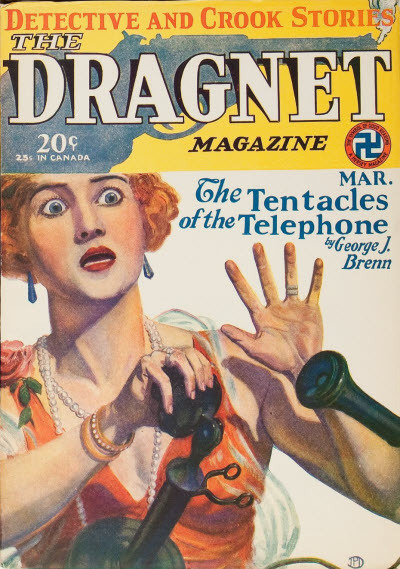 18 · Death for Dear Clara [Lt. Timothy Trant] · Q. Patrick · n. Simon & Schuster 1937; abridged. 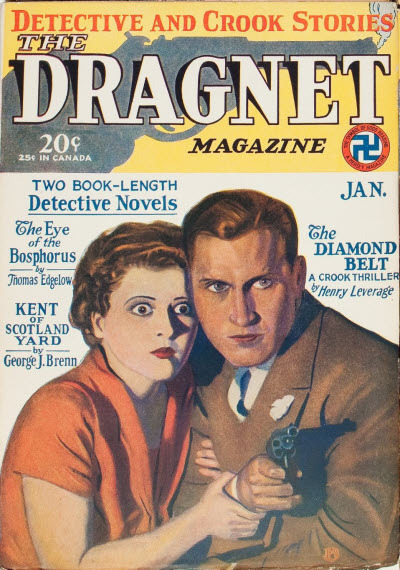 32 · Thanks to Murder · Joseph Krumgold · n. The Vanguard Press 1937; abridged. 51 · Death Checks In · Stephen Ransome · n. Doubleday Doran 1939; abridged. 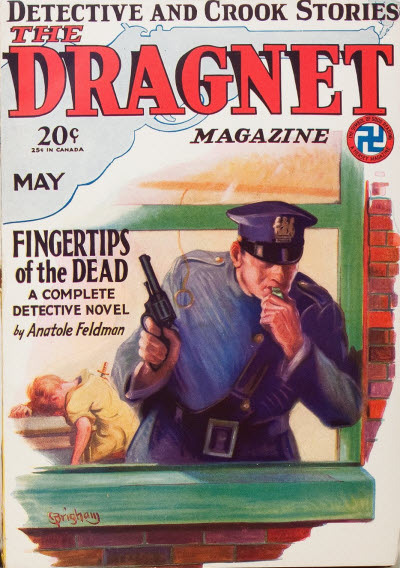 Ten Detective Aces was probably the most successful of the many magazines that Harold Hersey launched, and certainly one of the longest running, but it took a while to find its mark. 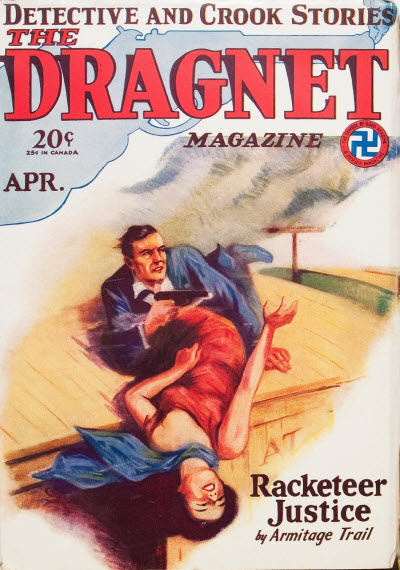 For the first 16 issues (to April 1930) it was called The Dragnet Magazine and initially focussed on stories about gangsters and organised crime. 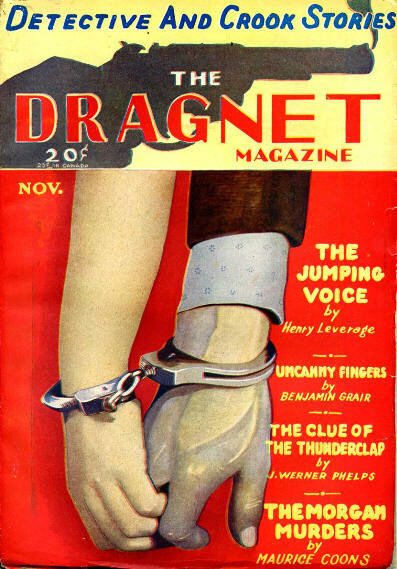 However, by 1930 public interest in gangsters was fading and the magazine became more of a detective pulp, initially (for 24 issues) under the hybrid name Detective-Dragnet Magazine and then finally, from March 1933, under the name Ten Detective Aces under which it ran for an impressive 16 years. 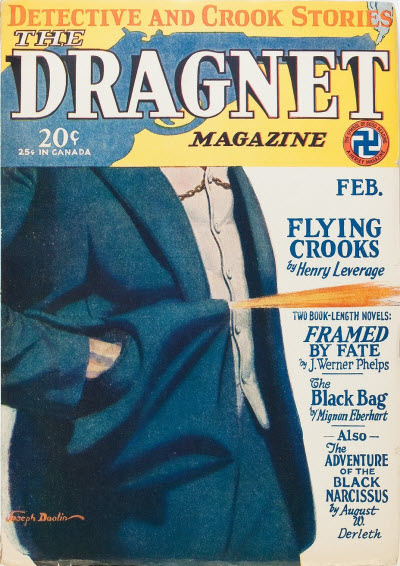 Harold Hersey - Editor: Dragnet Magazine, Feb 1929  Sep 1929. 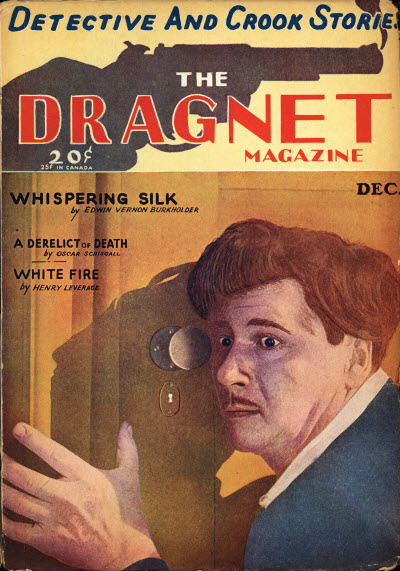 Harold S. Goldsmith - Editor: Dragnet Magazine, Dec 1929  Apr 1930. Believed not to exist. None recorded at the Library of Congress for copyright. The serials commence v1 #2. Letters to Editor discuss only stories contained in v1 #2 and later issues. No v1 #1 has ever been reported.